What a beautiful day for flying!! On June 16, 2013, the Minnesota Wing of the Commemorative Air Force deployed to the annual Father's Day Open House at the Crystal, MN Airport. These vintage warbirds were available for inspection and for Living History Flights. 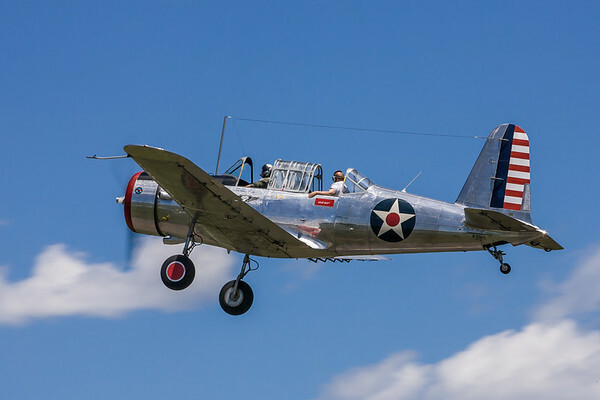 Click on the link above for more information about scheduling a History Flight or about joining the Minnesota Wing of the Commemorative Air Force located at the South St Paul Airport (Fleming Field). The Minnesota Wing would like to thank those who supported the CAF by purchasing a History Flight. We also thank the Control Tower Manager, Warren, and his staff for allowing us access to the tower to shoot a few images. You may purchase prints and other merchandise by clicking on the "Buy" button in the upper right corner of the page.